The Social Security (Amendment) Act, 2014, which establishes the National Health Insurance (NHI) System in the Virgin Islands takes effect today, December 1. 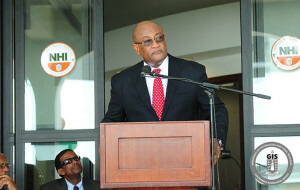 Minister for Health and Social Development, Honourable Ronnie W. Skelton (pictured here) made the declaration by a notice published in the Gazette on November 30, 2015, in accordance with Section 1 of the Act. The legislation was passed in the House of Assembly and assented to by the former Governor in April 2014. 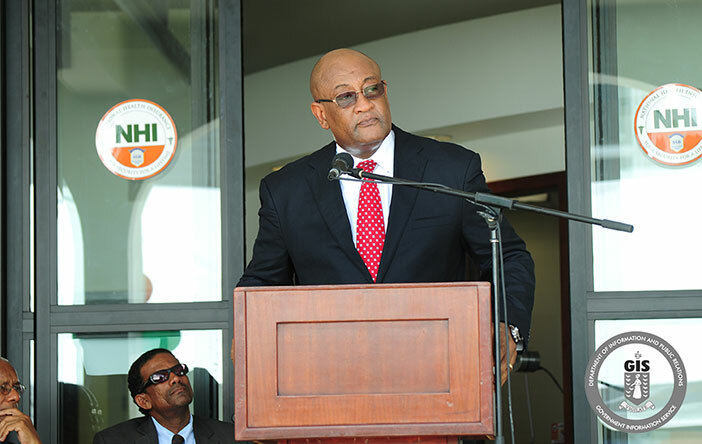 Minister Skelton stated that the Government enacted the legislation in fulfillment of its pledge to ensure that all BVI residents are provided comprehensive and affordable health care coverage. The NHI System is Government’s financing and purchasing mechanism for health care services provided in accordance with the Act. The Social Security (Amendment) Act, 2014 also establishes the NHI Division which will be directly responsible for managing, monitoring and administering the NHI System; carrying out the registration of beneficiaries; maintaining a record of all beneficiaries and contributors; collecting contributions; processing claims and paying from the NHI Fund benefits as are agreed between health care providers and the Board; supervising and controlling expenditure; making payments from the NHI Fund; and carrying out registration of health care providers and facilities under the NHI System. The legislation also governs the establishment of the NHI Fund; certification and registration of health care providers; and beneficiary entitlements. With the Act now in place, the Minister will proceed to publish regulations required for the efficient administration of the Act. The enactment of this law is among a series of measures undertaken by the Government to achieve universal health coverage, the hallmark of its commitment to improve the well-being of all the people in the Virgin Islands.